It is with sadness that I'm reporting the death of "Spider-Man" franchise producer Laura Ziskin. She died of breast cancer at her home in Santa Monica, California on Sunday at the age of 61. I met Laura back in 2001 about a week before Sony Pictures was going to reveal the very first teaser trailer for the first Spider-Man movie. It was a short teaser with the bank being robbed and the thieves' helicopter getting caught in Spidey's web in between the World Trade Center, followed by the very first scenes ever of the superhero swinging through New York. I remember sitting next to Laura and director Sam Raimi and hearing Laura sing along with the "I wanna take you on a roller coaster" lyrics of Lunatic Calm's "Leave You Far Behind." After the screening (I asked to see it twice), she asked me very genuine questions about what the fans would think of the footage. She was very concerned about it looking just right. She really did take us on a roller coaster with the "Spider-Man" films and was working on The Amazing Spider-Man, opening next year, as well. "Laura was my closest friend. She was an inspiring warrior who fought every battle, whether it was business or personal, with her trademark brains, guts, and class. She was the creative guiding light for all of us who loved and worked with her. She was also a frustrating perfectionist and that's why she was simply the best. We are heartbroken and miss her terribly already – as a producer, as an advocate for cancer research, but most importantly, as an irreplaceable friend." In addition to working on the "Spider-Man" franchise, she was the first ever woman to produce the Academy Awards in 2002, which she repeated in 2007 as well. In 1984, Ziskin partnered with Sally Field in Fogwood Films and produced Murphy's Romance, which yielded an Academy Award nomination for James Garner as Best Actor. She also produced No Way Out starring then newcomer Kevin Costner and Gene Hackman. In 1990, she was Executive Producer of Pretty Woman, which remains one of the highest grossing films in Disney's history. In 1991, Ziskin produced two films, the comedy hit What About Bob?, from a story by Ziskin and Alvin Sargent, starring Bill Murray and Richard Dreyfuss and the critically acclaimed The Doctor starring William Hurt and Christine Lahti under the direction of Randa Haines. In 1992, Ziskin produced Hero, which was also from a story by Ziskin and Sargent, directed by Stephen Frears and starring Dustin Hoffman, Andy Garcia, and Geena Davis. In 1994, she produced To Die For starring Nicole Kidman (who won a Golden Globe as Best Actress – Musical or Comedy) and directed by Gus Van Sant. She also developed and served as Executive Producer of Columbia Pictures' As Good As It Gets, which garnered Academy Awards for stars Helen Hunt and Jack Nicholson. In 1994, Ziskin was named President of Fox 2000 Pictures, a newly formed feature film division of 20th Century Fox. Under her stewardship, Fox 2000 released such films as Courage Under Fire, One Fine Day, Inventing the Abbotts, Volcano, Soul Food, Never Been Kissed, Fight Club, Anywhere But Here, Anna and the King and The Thin Red Line, which garnered seven Academy Award nominations including Best Picture. In 2000, just after stepping down from Fox 2000 Pictures, Ziskin teamed with George Clooney to produce the live television movie Fail Safe, directed by Stephen Frears. It was the first television movie to be aired live in over 35 years. It was nominated for six Emmy Awards as well as a Golden Globe nomination for Best Television Movie. It also received PGA and DGA nominations. Ziskin also Executive Produced the Norman Jewison-directed HBO Film Dinner With Friends written by Donald Margulies from his Pulitzer Prize-winning play and starring Dennis Quaid, Andie MacDowell, Greg Kinnear and Toni Collette. The film was nominated for two Emmy Awards, including Outstanding Made for Television Movie. Ziskin has been actively involved in issues that concern health, the environment, and families, having served on the board of Americans for a Safe Future, the National Council of Jewish Women and Education First. In addition she was honored by Senator Barbara Boxer as a "Woman Making History" and by the City of Hope as "Woman of the Year." She has also been honored with Premiere Magazine's "Women in Hollywood" award, the Big Sisters of Los Angeles Sterling Award, Women's Image Network Award, Women In Film's Crystal Award, the Israel Film Festival's Visionary Award, The Wellness Community's Human Spirit Award, and The Producers Guild of America's David O. Selznick Award as well as the Visionary Award. Ziskin is a 1973 graduate of the University of Southern California USC School of Cinematic Arts where she returned to teach the first class in the Peter Stark Producers program. She received the Mary Pickford Alumni Award from USC in 1999. In 2008 Ziskin, along with like-minded women in the entertainment industry with a similar desire to make a real impact in the fight against cancer, founded Stand Up To Cancer. Ziskin executive produced the historic "Stand Up To Cancer" (SU2C) televised event, simulcast on all three major networks on September 5, 2008 to raise awareness about cancer and funds to support groundbreaking cancer research. The one-hour special, which combined entertainment, education and musical performances, was the first ever "roadblock" event raising money to proactively combat a major public health threat (the only previous roadblocks had been in response to 9/11 and Hurricane Katrina). Over 100 celebrities donated their time to appear in the show and in public service announcements promoting it, including Academy Award-winning actors Halle Berry, Josh Brolin, Morgan Freeman, Sidney Poitier, Susan Sarandon, Meryl Streep, Hilary Swank, Tilda Swinton, Charlize Theron and Forest Whitaker. "Stand Up To Cancer" is one of only eight programs from 2008 honored by the Academy of TV Arts & Sciences for having made "a significant impact on the viewing audience concerning vital issues." The SU2C initiative, which aims to accelerate the pace of cancer research in order to get more effective treatments to patients faster, awarded the first installments of over $70 million worth of three-year grants to a number of interdisciplinary, multi-institutional Dream Teams of researchers in 2009, one year after the initiative's launch. A second Stand Up To Cancer televised event aired on all four major networks and over a dozen cable outlets, including HBO, Showtime and Discovery Health. Over 100 celebrities and musicians donated their time once again to promote the initiative, including Academy Award-winning actors Denzel Washington, Gwyneth Paltrow, George Clooney, Michael Douglas, Sally Field, Renee Zellweger and Kathy Bates as well as Grammy-winning artists Stevie Wonder and Lady Antebellum. 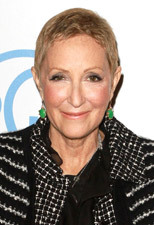 Ziskin is a founder of SU2C and a member of its Executive Leadership Committee. Laura had cancer for seven years yet accomplished so much throughout her career. A memorial is being planned and for those wishing to honor her memory, the family requests donations be made to Stand Up 2 Cancer through the organization's website at StandUp2Cancer.org.